When black markets develop on the sidelines of most massively multiplayer online role-playing games, most developers would panic. But with today’s rise of cryptocurrencies like Bitcoin, a growing group of game-makers are embracing some gamers’ tendency to turn in-game currency into real-world money. In general, publishers often take steps to prevent the selling of in-game currency, like World of Warcraft gold, outside the game. “Developers and publishers strive to suppress such black markets in order to reduce the effect that they have on in-game economies [and] player balance,” Russian software developer and Active Games CEO Anton Telitsyn told me over e-mail. Last year, publisher Valve moved to choke out Counter-Strike: Global Offensive’s $7 billion in-game designer weapon gambling market. Similarly, Blizzard has waged a decade-long battle against businesses—including prisoner-fueled gold-farming labor camps—that sell WoW gold for cash. With Active Games’ MMORPG Lordmancer 2, following the 2011 free-to-play mobile MMORPG Lordmancer, Telitsyn is taking the opposite approach. Lordmancer 2, in beta on Android right now, is a sword-and-sworcery RPG where players are invited to freely purchase and sell weapons and artifacts in-game with the game’s custom cryptocurrency Lord Coin, which can be exchanged for real money outside of the game. So, by leveling up and earning better items, players can mine cryptocurrency with real value. “Instead of expressly forbidding extra-game trading of resources, we endeavor to create a safe, transparent marketplace for trading game items and characters,” Telitsyn said. Earning real money by gaming is not a popular concept, but it’s not totally new, either: 2003’s sci-fi MMORPG Entropia Universe also runs off a real cash economy. A consistent virtual currency to real money exchange rate of ten-to-one keeps prices stable, and players can deposit money in-game and withdraw it to their real-life bank accounts. In 2008, Entropia Universe earned a Guinness World Record for “most expensive virtual object” after a player bid $335,000 on a space station. Even though the game’s publisher might approve of it, it’s worth noting that a lot of these game markets can exist in a legal gray area. Money-laundering or fraud may abound. Some virtual currency markets might amount to illegal lotteries. Forging digital economies in games was an early idea among Ethereum enthusiasts. Making it accessible and attractive is another story. Jon “Neverdie” Jacobs, who bought an asteroid in Entropia Universe for $100,000, established with the help of Ultima creator Richard Garriott a cryptocurrency he calls the Teleport token using Ethereum in July with the lofty dream of designing a money-backed infrastructure for a virtual goods economy. The pitch: Gamified jobs in virtual reality will reap the currency, which will eventually be used across virtual reality worlds. Unfortunately, virtual reality technology’s install base is pretty slim right now, so a bustling economy doesn’t seem likely in the near future. Similarly, Telisyn’s Lordmancer 2 is polished in its beta state, but is, at base, a primitive game. 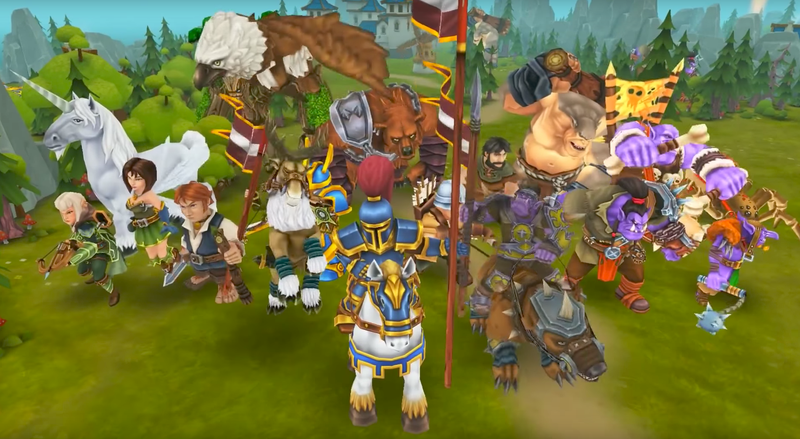 He doesn’t expect anyone to be making a living off the mobile MMORPG: “The amount of cryptocurrency that a player can mine will depend only on the market price of Lord Coin,” he says. Likely, that price will remain low, and therefore so will a player’s potential earnings. Lordmancer 2 will begin selling its Lord Coins on October 23rd. Right now, its developers are pitching the game to Chinese investors, who know well the desire for big (and legal) money-backed digital marketplaces. Even if these early options don’t boom, they may be laying the groundwork for more mainstream adoption.